Last week Curt called me and said he loved the taste of Peanut butter and gingerbread can we develop a cookie together with both ingredients. Well we got together on Sunday and this is what we came up with together. Peanut butter that look like a crinkle cookies. I know they would need to have powdered sugar but since they were messier we decided to roll them in sugar. He was very impressed with the end results as I was. 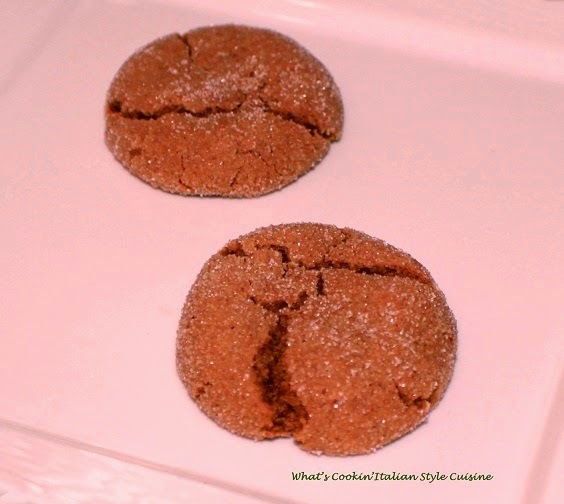 I am going to give him the credit for the recipe on Curt's Delectable Blog since he really came up with this great cookie idea and I would love for you all to get to see some of his great recipes. He is the inventor in the family! So here is our cookie project. What do you think? Hop over and see the recipe if you like the finished product. The taste is really a great combination of flavors and an easy recipe to make!